Carnival Horizon Wants You To Have Fun … Shops – WATCH! Hello Divas! 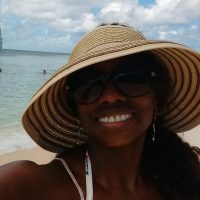 I’m taking a few days off on a Carnival Cruise to the West Caribbean. 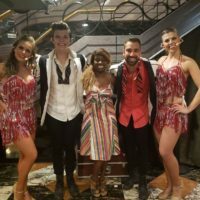 So I thought it would be the perfect time to share our day on Carnvial Cruise line’s newest ship – CARNIVAL HORIZON! This incredible ship, which hit waters just this May, offers luxurious upgrades in its decor and dining. And the brand has dramatically expanded its FUN SHOPS retail space, offering up brands like LeVian, Victoria’s Secret and – for the first time – Michael Kors, Kate Spade, Breitling and Hublot. And then there’s the Man Cave – but we’ll let you watch it for yourself! Learn more about Carnival Horizon and the whole Carnival fleet at carnival.com. 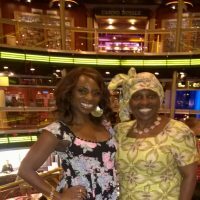 What You Must Wear For Your Birthday Carnival Cruise! What I Wore On Carnival Sensation – Get The Look with Rent The Runway!